(I just couldn't resist!) 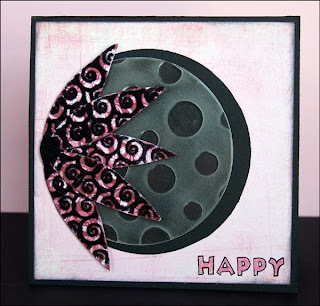 Check out my post today on the myStampBOX blog to learn a little about crafting with flock. Enjoy! It's challenge day at Caardvarks! The Caardvarks Crew were treated to stamps from Purple Onion Designs for our work, and here's the amazing gallery of projects we created. You will not be disappointed! I already had some POD stamps since I had been a finalist for their DT. It was fun inking them up with my fellow Crew members! For this challenge, create a *NEW* card with a window. Upload it to Caardvarks via Mr. Linky by midnight PST on July 3rd. 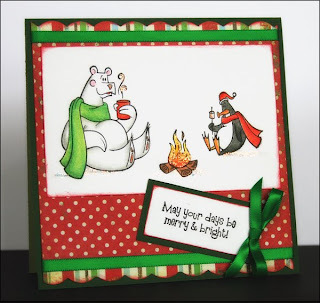 The winner of this challenge will receive a whopping $50 shopping spree at Purple Onion Designs! POD is also offering 25% off to our readers for the length of the challenge. Simply enter code "Caardvarks" at checkout. Here's my window card for this challenge. I used the Doodle Heart and Date Me sets of stamps. I cut the circle out of the front panel with my Coluzzle. 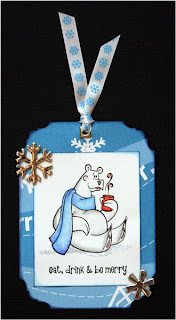 These tags and card use fun and whimsical designs by Michelle Clement for Purple Onion Designs. They even offer witty sentiment stamps! 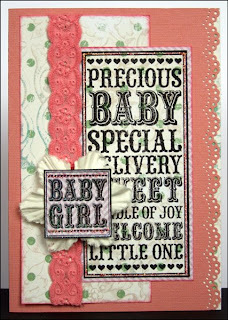 My final two cards use the Baby Noteblock set by Stephanie Wheeler. Here she is! May I humbly present Madame Melody Mermaid, the latest in my Say It With Letters altered creations. When I first got her in the mail, I had to admit that I was a little intimidated by her unique shape. I wanted so badly to alter her in a way that was true to my style yet keeping with the magical qualities that mermaids possess. After working around her on my scrap desk for two weeks...FAR AROUND HER...it hit me how to tackle this project. Here are a few of the techniques and materials that helped the magic happen. 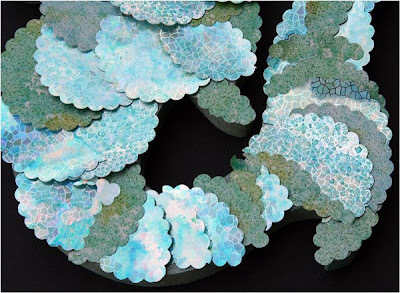 To me, the key was in the mermaid scales. I already knew that I wanted to use a scalloped punch to create them, but I wasn't sure how to achieve the shimmer I wanted. I started digging through my stash and found papers that I had in my "donate" pile for my son's elementary school. I used silver hologram paper from WorldWin and silver glitter paper from The Paper Company and covered them with blue and green Ranger Alcohol Inks. (Thanks, Tim! ♥) Once the papers were dry it was just punch and layer until my arm fell off. Well, my arm didn't fall OFF, but it was a little sore from all that punching! The end result was pretty close to my original vision. Then I just played with details. The mirror was cut from silver paper; her top was tied with twine; her scales were trimmed with colored jute and a shell. But scrappers who know me best will be pleased to see just how much fiber I have managed to incorporate into this design. Layer upon layer of auburn fibers with highlights of gold were added, then enhanced with some tiny beads. A lovely ocean creature like this needs a few accessories, right? The whole mess is held together with Ranger Glossy Accents - and I mean a LOT! 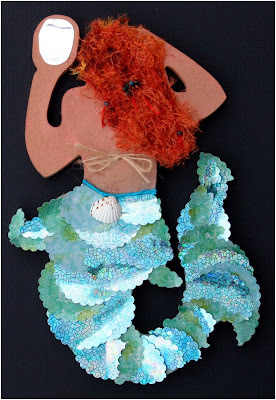 If you'd love to tackle this fun project be sure to check out the mermaid shape in the Say It With Letters online store. My pal and fellow DT member Julie Ann has the same shape to play with. I can't wait to see her version soon! ETA: Check out all the SIWL Design Team versions of the mermaid by clicking here! It's challenge day at Caardvarks! Today's challenge is sponsored by Club Scrap. 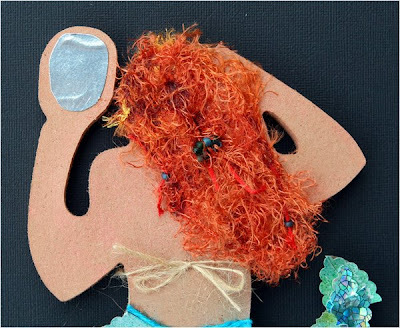 Created in 1999, Club Scrap is one of the founding fathers in scrap kit clubs. 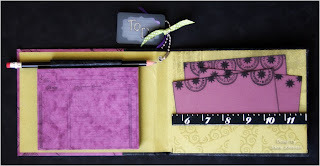 Its current offerings include paper, stamps, tools, embellishments, digital kits and so much more. 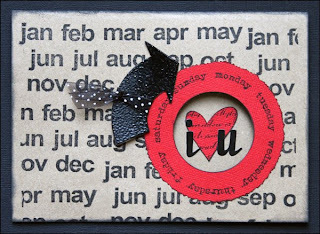 Club Scrap is often recognized first for its unique papercrafting kits that create notebooks, boxes and accordian files. The challenge: Create a *NEW* 3D project of some sort that is NOT a card. (Whoah!) Try a gift bag, box, interactive card, book, home decor item or altered anything! Projects must be shared at Caardvarks through Mr. Linky by midnight PST June 18th to be eligible to win. The prize: Huge assortment of Club Scrap product - a sheet of UM rubber, Club Scrap exclusive projects, a POP (pound of paper) plus a whole lot more! 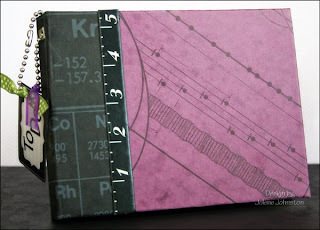 For my Club Scrap project I created the Assignment Notebook, Wild Science style. The kit comes with a sheet of instructions with step by step photos to help with assembly. I'll have to admit that I am not a scrapper who enjoys measuring on a daily basis, so I was thankful that the instructions were so thorough! The kit includes nearly all the supplies you see here. 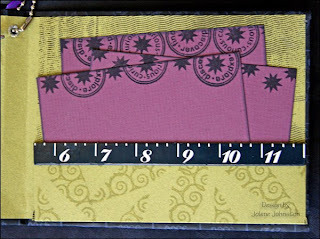 I added just a few items including the tag with stickers, chipboard ruler borders and ribbon. One final step was to stamp both the pocket that comes in the kit and some additional sheets of purple paper to slip in the pocket. I used my Seal It! and He Loves Me sets of stamps from my Stamp BOX for that task. Can't wait to see what you create for this challenge! my Stamp BOX: Win New Stamps! Spring is in full swing, the school year is coming to an end. 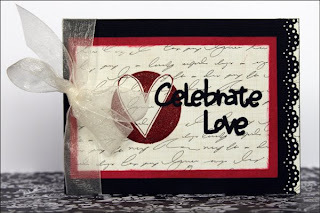 Let's celebrate with a new stamp set! 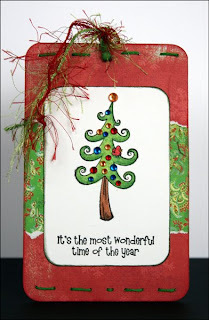 The Tree for all Seasons is now available in the my Stamp BOX store. 1. Leave a comment. Please include your first name and last initial, plus your city/country. 2. On a second comment please post a link to the place where you have posted about my Stamp BOX’s blog (on your own blog or in a forum). Again you need to include your name and last initial, plus your city/country. This contest is open until June 30. The winner will be announced on July 1st. Good Luck! 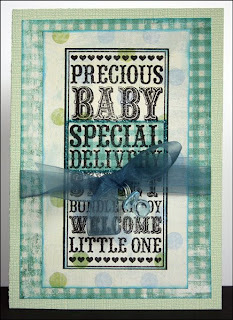 Today the Caardvarks crew is being featured in the Blog Bay section of ScrapStreet ezine. 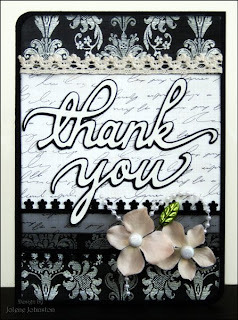 Click here to see all the thank you cards created by the crew and some thoughts from each of the designers. Be sure to click the tabs at the bottom of each page to see the entire article (pages 20-25. Mine is on p. 23!) Details for this card are here.